When it comes to Generations Y and Z, beer’s losses are wine’s gains. Between 2012 and 2016, millennials and Gen Xers increased their share of wine consumption by 8%, edging out baby boomers as the biggest consumer segment in the wine market, according to a wine trends report from L.E.K. Consulting. 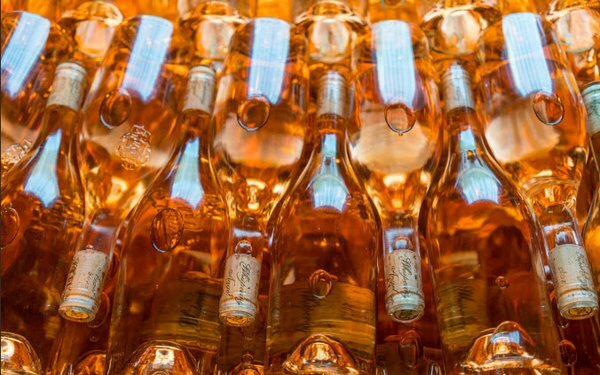 Case in point: Although rosé still represents just 1.5% of U.S. table wine sales, trendy millennials (especially in New York City and Miami) pushed its sales up by 53%, to $258 million, in the 52 weeks ending July 2017, according to Nielsen data. Millennials, unwilling to pay the high wine markups at restaurants, also have made “drinking in” hip. In fact, off-premises consumption, outside of bars and restaurants, now accounts for more than 80% of overall wine consumption. That’s higher than the off-premises consumption rates for beer and distilled spirits, reports L.E.K., a global management consulting firm. Total U.S. wine sales reached $32 billion last year, and sales are projected to grow by more than 6% per year through 2022, to reach $43 billion. Sales of “fine and premium” wines (those priced over $10 per bottle) have grown about 8% per year since 2012 and are on track to reach about $25 billion by 2022. Another important new contributor to wine’s momentum: Direct-to-consumer (DTC) sales are on the rise. Shipments to consumers from wineries were nearly $3.1 billion in 2017 and are expected to grow at about 11% per year, to reach $5.2 billion in 2022. Smaller wineries are leading the DTC trend, according to the report, which also points out that changes in wine shipping laws are making it easier for smaller wineries without distributors to reach consumers. The DTC trend also has spawned packaging innovations, including boxed, canned and single-serve formats. Even another economic downturn isn’t likely to slow wine’s growth, according to L.E.K.’s research, which shows that wine sales continued to increase during the 2007-08 recession. However, there are new developments that could point to potential production cost and pricing increases. The Trump administration’s anti-immigration policies — as well as competition for labor from alternative crops, including legal marijuana, that offer better pay — are exacerbating wineries’ already serious labor shortages. Industry consolidation also continues, with 14 suppliers controlling about 80% of the U.S. wine market by volume in 2017. About 9,000 suppliers produced the remaining 20%.